Recently purchased by the owners of the Fun Spot amusement parks in Florida, Fun Junction USA has announced that they will officially become Fun Spot America Atlanta this year. The purchase of the amusement park was announced back in July, with the promise of expansion on the way for Fun Junction USA, which is located not far from Atlanta in Fayetteville, Georgia. The new owners are now making good on that promise, and are starting to reveal what will be added to the park in the near future. 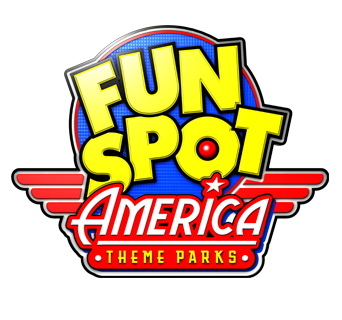 Fun Spot America parks are currently located in both Orlando and Kissimmee, Florida. Both have seen great amounts of expansion in the past few years, which bodes very well for the Atlanta park. Fun Spot released a video update on social media that detailed a few changes at all the properties, but gave two big news items specifically for the Atlanta park. 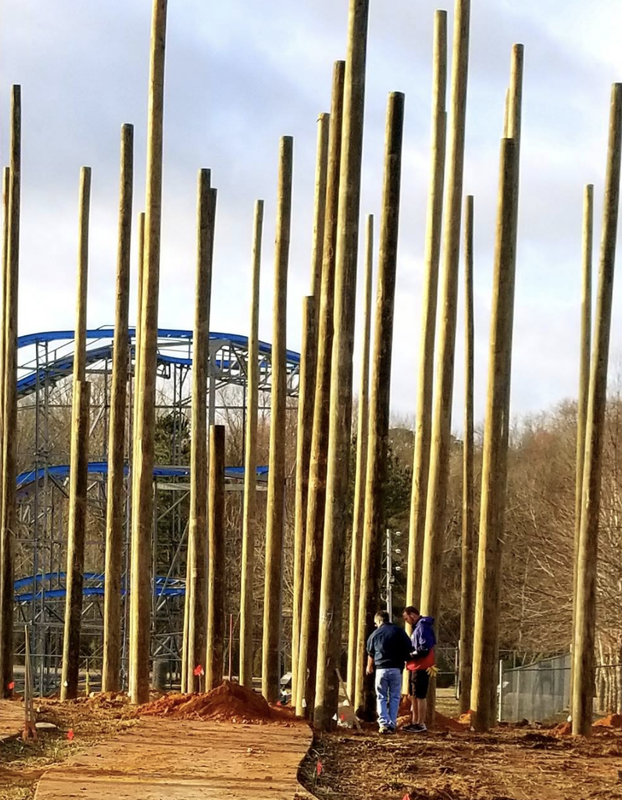 They've been sharing photos of work at the Atlanta park in recent weeks, showing giant wooden poles being driven deep into the ground. The video confirms that the park is building their first multi-story go-kart track, which will open this summer. 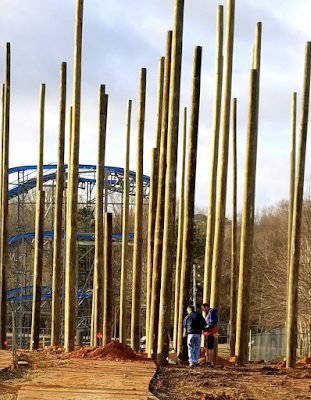 Fun Spot owns several patents on the way they built these giant go-kart tracks, so this is an exciting development for the Atlanta park. The video also reveals that the Paratrooper, a classic flat ride with an avid enthusiast fan following, will be moving from the Orlando park to now reside in the Atlanta one. Replacing the ride in Orlando will be an inverting pendulum ride named Head Rush 360, similar to the ride of the same name that opened last year in Kissimmee. Fun Spot America Atlanta has a lot of open space still that could be developed, so hopefully this is only the start of announcements for the property. Stay tuned!